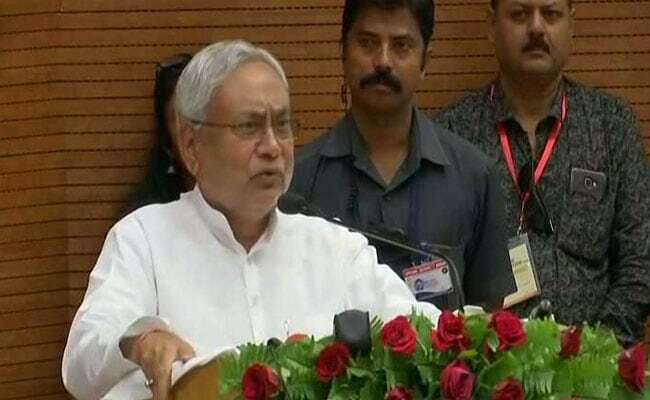 Bihar Chief Minister Nitish Kumar has expressed concern over attacks on police personnel in the state by anti-social elements and those involved in illegal sand mining and liquor trade. The chief minister also stressed on the need for ensuring that contingents carrying out operations against such law breakers are adequately manned. At a function organized in Patna on Tuesday to launch "dial 100" scheme of Bihar police, Mr Kumar said the state had around 8.5 crore mobile phone users and the centralized help line would enable people in any part to get help from the law enforcing machinery with response guaranteed within 20 minutes in urban areas and 30-35 minutes in rural areas. "We need to act tough with those involved in attacks on police personnel. The number of police personnel in the state was highly inadequate when we assumed power in 2005 and there was shortage of logistics as well. "We have taken steps to remove many shortcomings. We need to continue making efforts to ensure rule of law", the chief minister said. He also stressed on the need for regular monitoring of law and order by officials at various levels besides ensuring that "social balance" was taken care of in deployment of personnel at police stations so that "the people feel that they are having access to policing that is efficient and impartial". The chief minister said efforts were being made to ensure that all police stations had their own premises and were equipped with special facilities for women, including separate sitting rooms and wash rooms. Others who spoke on the occasion included Chief Secretary Deepak Kumar, Principal Secretary (Home) Amir Subhani and Director General of Police KS Dwivedi.